Eliza Noble & Jennifer Skillman (aka Eli & Fur) have carved out a distinct sound that has made waves in clubs and festivals alike. Their debut single “You’re So High” demonstrates their skilled integration of deep, melodic sounds with captivating vocals and club anthems. In the five years since, Eli & Fur have been promoted by Pete Tong, Annie Mac and Danny Howard. Their latest EP (listen below), “Night Blooming Jasmine” advances their style with a collection of tracks that evoke the feeling of producing music in LA. A more personal release, the EP emphasizes Eli & Fur’s classic sound, putting their voices front and center and fusing the lyrics with their signature rolling grooves. I had a chance to sit down with Eli & Fur before their Spybar set to find out more about their latest release, inspiration, and upcoming plans. 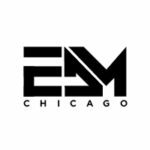 Thanks for chatting with EDM Chicago! It’s been a big day for you both – just off the release of Night Blooming Jasmine EP, an accompanying documentary short, and a guest mix on ABGT. How does it feel to have gone through this journey? Eli: It feels good! It’s weird because we’ve been on a plane the whole day so we couldn’t really experience it. We’ve been working on this EP (Night Blooming Jasmine) for a while now and it feels great to finally get it out there. It’s special to us, it’s quite from the heart. We love to create club tracks that are made for the dancefloor, but there’s a little more to this EP. Sounds like it’s a little more personal. I hear Los Angeles was a huge inspiration for the production of the EP? Eli: We just really love the time we spent in LA. We went there quite early on in our DJ career. We went to Coachella with some friends before we actually got to play and spent a week in a LA before that. It was a really nice experience and it was the beginning of this project. A lot of the ideas that we had, we came up with and wrote when we were there. It felt right – and there’s the Night Blooming Jasmine plant which grows in LA! This was not intentional. It just came out as a lyric and we decided to base it around that. You also released this documentary along with the EP, can you talk a little bit about how that came to be? Fur: We just wanted to get across a bit more of the meaning behind the EP and it was nice to show what went into the production of it. Eli: And we haven’t really done much with video before, so it’s quite nice to try and share a little bit more of how it happened. We also filmed with an amazing director Klement Brahaj – he’s good isn’t he? Eli: We felt very comfortable with him. Sometimes it can be quite daunting when someone’s filming you. But when you feel comfortable it can be a really nice experience, so we’re really happy with the way it turned out! Awesome. I also hear you are integrating more live elements into your sets. How has the experience been to transition into this style? Fur: I think we just wanna make it a little more dynamic sometimes. You want to make sure you’re adding more elements, I think! With Ableton Live we’ve been able to really integrate that in – loops, acapellas, just a bit more hands on since it’s the two us. Eli: And it’s also nice to be able to turn someone else’s track and to add something on top of that, to give the crowd something they haven’t heard before or a different version of a track. We chop a lot of different tracks into different parts – Ableton is amazing like that! So will we be seeing some of that tonight? Can’t wait! How do you feel your club sets like tonight differ from your festival sets (like Anjunadeep Open Air NYC the next day)? Fur: I think in clubs you can kinda of take more risks in the sense that it’s dark and you can sort of experiment. In the day it’s a different vibe, not one is the same. I think tomorrow we have the sunset slot – which we’re quite excited about! Eli: Yes, definitely light into dark is the most amazing time to play. When it gets dark you can definitely change the vibe of the set. Fur: Or with sunrise, too! True! Have you guys done a sunrise set before? Fur: Yes – loved it! We did a really good one in Turkey, on the water. It was a full moon and as the sun came up the vibe was really amazing. That’s awesome. So you guys have a pretty big weekend ahead – Spybar tonight, Anjunadeep Open Air NYC, and Boston. How has life on the road been so far? Fur: There are a few moments where it’s been tough – like when you wake up from a nap! But you know you can always push through. There hasn’t come a point where I’ve felt like this is too much. The only challenge is really the jetlag, but you manage. Eli: if you think about how you feel right now as opposed to when you wake up – it’s different. But when you’re walking out at night on the street after a set and you get that buzz, any sort of of worries are gone. You realize what it is that draws you to this job. I can imagine that’s a great feeling to have! As women pioneers at Anjunadeep and beyond, how do you feel about the lack of female representation in DJing and what can we do moving forward? Eli: Yeah there’s definitely not enough women in DJing and I think that is mainly because of history. I think now everyone’s talking about it, and it’s so important that people are having this conversation because it’s all about getting this into people’s minds. Sometimes the lack of women isn’t intentional and sometimes it is. But I do feel that now it is healthier and people are talking about it, which is important. That’s how this kind of thing is going to be solved – looking actively for female artists and making sure everyone’s getting the same opportunities. It’s great for us to be of help in any way.